Trying to appeal to more than one target audience on your website is tricky. It’s difficult to make sure our message connects with each audience we’re targeting. For example, a recruitment agency must appeal to businesses to work with, but they must also attract good candidates too. How would they go about appealing to both audiences on the one website? There are methods of achieving this and it’s something we carefully consider when we build websites. In this episode, we walk-through the ways you can do this successfully. Should you set up a new website for your separate audiences? Do you need different layouts and page designs for different audiences? 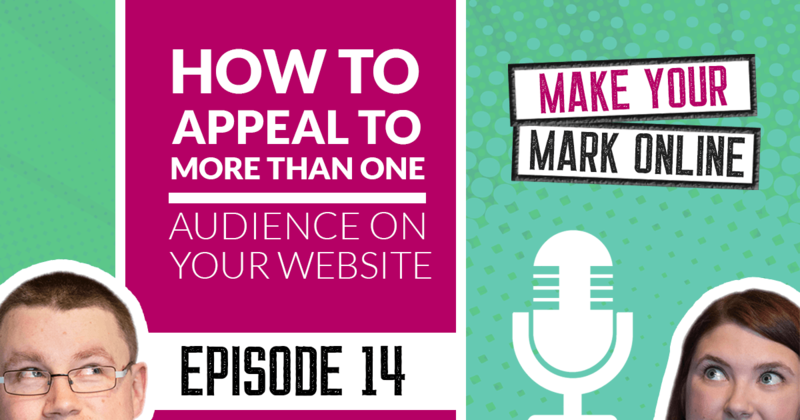 1.18 – Who would need to consider more than one audience on their website? 2.39 – Is it worth setting up a new website for each target audience? 14.12 – Do you need different page designs for different audiences? Welcome to the Make Your Mark Online Podcast, where we help personal brands building grow a successful business website. Please welcome your hosts, husband and wife team, Martin and Lyndsay. 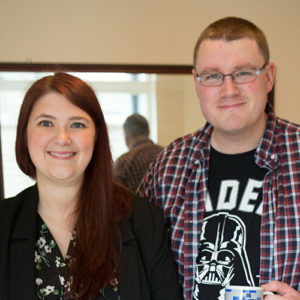 Welcome to Episode 14 of the Make Your Mark Online Podcast. Today, we’re gonna be talking about how you can use your website to appeal to numerous audiences. But before we get into that, this podcast is sponsored by the Make Your Mark Online Membership. This is our signature membership community, where we help personal brands build and grow a successful business website. This actually launched on Monday, the 1st of October, and we’ll be closing the doors on the 14th of October, 10:00 p.m. in UK time. So, if you wanna get in at the lowest possible price ever, then visit makeyourmarkonline.net We won’t be opening the doors until January, and then we’re gonna be charging $39 a month. So, save yourself $10 a month if you sign up before the 14th. So, let’s get into the show! So, today we’re talking about our websites, and what we can do with them if we have a number of different audiences, different target audiences. So, Lyndsay. Why would somebody want to do this, or need to do it? Well, actually, it’s more common than you think. And we’ve come across it so many times with our clients, and people that we talk to on a regular basis. A lot of business owners have to think about completely different audiences for their products. So, recently, we had one lady ask about this in our Facebook group. She’s a fitness trainer and dance teacher who came up with a kind of like a new exercise routine. And her website needed to appeal to two audiences. So, the first one was actually just getting customers through the doors to her fitness studio. But the second one was other fitness trainers looking for a new routine that she could franchise to. So, they had completely different goals. There was the customers who were looking to get fitter and healthier in like a fun way, and then there was the fitness trainers, who were looking for a new routine they could use to get more customers. So, that’s completely different. And their needs were completely different. And there’s loads of examples of this. Kind of like if you think about recruitment agencies. You know, they’ve gotta appeal to the candidates, where they get people’s CVs and information. But they’ve also gotta appeal to businesses. You know the people that actually pay them and, you know, the people that they want to work with, and provide candidates for. So, there’s a lot of examples of this. And this is something that comes up time and time again, and a question we get asked quite a lot. Yeah. So, we see this when we’re building websites as well. Lots of our clients have different segments of their audience that they need to appeal to. And one of the questions that we get asked quite a lot is whether or not it’s worth setting up an additional website for the audience. It’s an interesting one. It’s always really tricky when people ask should they open another website. I’ve know business owners with five or six websites. And the difficulty is, is that websites take a lot of work. Or should I say, they should take a lot of work because, you know, you need to be updating your website constantly. You need to be adding content. You need to be driving traffic to that content. And that takes an awful lot of work. I mean, we know just having one website, that it takes a lot of work. Having more than one is difficult. It is tricky. So, you have to think very carefully about whether it’s worth setting up a brand new website for your separate service with a separate audience. Yeah, exactly. And we’ve actually just been through this with our new membership. 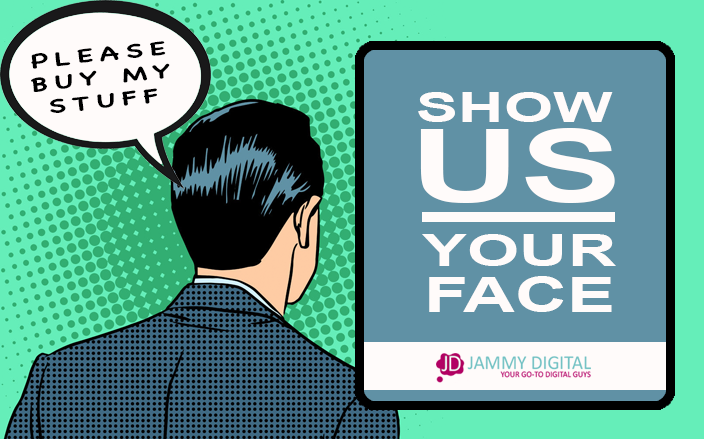 So, our agency, obviously, as you guys know is Jammy Digital. This is where we build websites, and we help people redesign or start a brand new business, and they need a website. So, when we launched the membership, we had to think long and hard whether or not we wanted to include the membership on the main website, or whether or not we’d set it up elsewhere. And again, it’s not an easy decision, but in the end we decided, you know, it needs its own home. It needs its own membership site. It needs its own face, and its own branding. So, although it’s very closely linked, it is separate. Yeah, definitely. And that’s a really good point, actually, Martin. It needed its own brand. So, I think that’s always a clear indicator as to whether you need another website. Because if something needs its own brand, it needs its own close, it needs its own logo, it needs lots of pages of content, you know, that kind of thing, then that’s a good indicator that yes, it probably will work on another website. If it just needs a page, and it can kind of fit into your brand already, then you might just wanna look at having it housed on your website itself. Because like we said, there’s a lot of work. You have two websites, that’s automatically double the work there. … that’s another Twitter account, potentially. So, I mean, we’ve very much kept it close to home. You know, we are using the same social media platforms. It’s just that we have Make Your Mark Online as a product, which is why it kind of works, because we can still kind of group it in, and talk about it on our main social media platforms. We got away with it, didn’t we? Yeah, exactly. But that’s what you can do if you create additional product within your business. But if you’re creating a separate business website altogether, then that’s where it might not be necessary. That’s what you’re saying. Okay. So, let’s say we want to use our existing website. We know we can do that. We just want to appeal to more than one audience. How can we actually go about it? What kind of tangible stuff can our listeners take away and action today? Yeah, it’s a good question, actually, because a lot of people get this wrong, but it’s so, so simple to actually do. And it all starts with a homepage. I mean, we talk a lot about the homepage. We could talk for hours and hours about it. But we need to use this page to signpost people to the right places on your website. Yeah, don’t do that. It’s dangerous. No, don’t do that, please. But imagine you are and, you know, you’re directing cars left and right, and straight on. That’s exactly what you need to do with your website. You need to sort of stand there and say, “Okay, you need to go over there. You need to go over there. And you need to go this way.” And people always get that wrong on their homepage, but that’s the biggest thing that you can do. If you’re appealing to more than one audience, then you need to quickly get them to the areas that they need to be on their website. It’s very, very, very simple, but a lot of people forget to do it. Yeah. It does sound simple, but that’s because it is. I mean, we’re not talking rocket science here. We’re just talking about giving people the information that they need, and making it easy for them. And a minute ago, we were talking about redesigning an entire new website for a new business. But actually, just by labeling these buttons, and giving people that clear direction, that’s generally enough. That’s what you’re saying. Perfect. It’s interesting, actually, that you mention the big, bold statement, because we talk about this a lot. But actually coming up with a big, bold statement is a little more tricky when you have two audiences, isn’t it? Yeah, definitely. It is. So, just so our audience knows, a big, bold statement is essentially the sort of summary of your business, and what it is that you do. So as soon as someone lands on your website, they should be immediately hit by a sentence that kind of summarizes what it is that you do, so your audience knows they’re in the right place. And, yes, if you are appealing to more than one audience, then this can be a little bit more tricky, ’cause you kind of have to be a little bit more vague with your big, bold statement, I think. Yeah. So, it might take you a little bit longer than it normally would if you have a number of different audiences. But it is actually quite interesting because we did an episode just on the big, bold statement, and we’ll link to that in the show notes. And we came up with nine different ways to create a big, bold statement. And some of these, you can’t actually use if you have a number of audiences. So, for example, if you do blog-writing services for start-ups. If that’s your products and service that you offer, and you have an additional audience, maybe you are trying to appeal to agencies, maybe you offer white label, then you can’t just say, “Blog-writing services for start-ups.” It’s important that you actually think about both of your audience. Yeah, but it’s about making it a little bit more … having that bit more broader appeal, isn’t it? Yeah. So that you can reach the two audiences, I suppose. The more specific you go, the more direct you can go, which is great. But if you do have two audiences, then that’s when you have to kind of step back a little bit, and think about your communication, in general, what it is that you do. Yeah. But then, if you have two buttons underneath that, so you have, you know, “Writing for start-ups,” or “White label service,” then it kind of clarifies then what it is that you do, and then gets people to the right place. So, you can start with a more broader, I think, big, bold statement. That’s absolutely fine. And the promo area too. The promo area is essentially the area where you kind of house your services. So, normally, this is under the big, bold statement, and you have your sort of three or four key main services, and people can click on them and go to the right sort of page. So, that’s where you will, again, start to direct people where they need to go. So, constantly remind them on your homepage to get to the next page of your website. So, you mentioned all the pages, actually getting your visitor to another page on your website. Are you saying that we should have a unique services page for each service? Yes. Yeah. We’re constantly telling them, “Keep it separate.” Because there’s no point. You know, if you’re a recruitment agency, and you’ve got a candidate who’s looking for information about what jobs you’ve got, there’s no point in them learning about what you can do for companies. There’s absolutely no point in them even looking at that content. So, why are they on that page? You need completely separate pages. And you need to think about, on these separate pages, the kind of needs and problems that the people are having, that your audiences are having, and write that content specifically for them. So, for example, on the page for people looking for a new career on a recruitment agency website, you need to say, “Okay, so you might be feeling underappreciated at work. You might be looking for something new. This is how we can help you.” Everything should be geared towards that person, and there should be no content that isn’t specifically for them on that page. Yeah. This is where we come back to each of your web pages is kind of its own tool. It’s kind of its own salesperson, really, to get people to fill out the contact form or, in your example, submit your CV. Like you are the recruitment agency that I go in to find me a job that I am appreciated in. You’re talking about using your copy to convert these people to become leads. Yeah. It’s not just your content as well, it’s actually everything on the page that you need to think about. So, if you were having testimonials on that page, don’t just have any random testimonials on there. So, if we take recruitment agency for an example, and you’ve got a candidate thinking, “Should I work with this recruitment agency? Will they find me a good career?” There’s no point in having a testimonial on there for some, you know, CEO of a big business. You’ve gotta have a testimonial on there from someone who was a candidate, who has found your service really helpful. And you’ve gotta think about all these things. If you’ve got links to your blog content on there, make sure it’s relevant for the actual person that’s on the page. So, you have to think about all these things, and really appreciate that every page on your website should be geared towards that particular audience segment. And this is even more important if you’re appealing to lots and lots of different audiences. “We’ve done recruitment for 25 years,” and all that kind of stuff. No. Make it really specific. Exactly. Don’t make it general. The most of it can go on your individual pages on your website, the better. Definitely. Yeah. It’s about thinking about your visitor and their journey. What journey are they going to go on? When I say journey, I don’t mean philosophical. I mean, actually, what pages are they gonna click on, what images are they gonna click on, what length, where they’re gonna go. And map out all of the different sort of points of that journey, until they get in touch, and then how you use their recruitment agency. That is the only problem. … our listeners might be concerned with. So, if they’re creating lots of page designs, and lots of different things for each audience, do they have to create a completely unique design? Are they gonna have to kind of contact the web designer, or create a new page completely? No. Definitely not. And, you know, if you’ve got sort of different audiences, there’s no reason why you should have a completely different design. I mean, in an ideal world, it might be nice, it might work, but your time is precious. So, you can keep the same design. You have some content, you have some images, you have testimonial, you have links to your blog post. That’s absolutely fine, you know, to keep that on every page. Just make sure the content is different. Make sure the content and the call-to-actions speak to your individual audiences. Yeah. So, think about your images, and what your audience are gonna connect to. It’s gonna be different things. It absolutely is. Yeah, exactly. Exactly. You just have to switch them out really. You have to switch out the content. You have to switch out the images. You probably have to switch out testimonials, and the blog content. But you don’t have to kind of make each page a different design. No, it can follow the same layout, and structure. Yeah, exactly. Exactly. Which is gonna save you a little bit of time. And know that it’s time-consuming this way, and know that it’s easier to talk in general terms, and have one page that tries to suit everyone. But it’s just not gonna convey as well. So, it’s worth putting the time and effort into actually thinking about your different audiences, exactly what they need, exactly what problems they’re facing, and writing specific pages for them. Okay. Well, that all sounds quite achievable. I think it’s … We’ve given a few tips away there for somebody who does want to introduce additional audience, or is concerned that they might need to pay out for a new website. Clearly, you don’t. I mean, in most scenarios, we would very rarely recommend that someone has an additional website. It’s quite easy when you think about things the way that we’ve explained, to actually imagine how it might look if you do have completely different audiences. And, yeah, I think our listeners will find that valuable. Yeah, definitely. I think it can seem very complicated, and kind of scary, but it’s not really. And if you think about like you said, your customer’s journey, that person’s journey, you know, starting at the home page, okay, how are they going to then try and get in touch with you? How are you gonna get them to do that? And what pages will they click on? What process will they take? If you think about it from that point of view, you can easily kind of plot it out, generally, and get them to the right place. So, hopefully, you found that episode useful. Let us know if you have any questions at all. Join the Facebook group as well. If you go to jammydigital.com/facebook And ask us any follow-up questions about it. We don’t ask this enough actually. Get involved in the community. Share a link to your website, and let us critique it. At the minute, we are doing free website critiques in our Facebook group every Wednesday afternoon at 4:00 p.m. And we’ll happily take a look at it, and point you in the right direction, and tell you how to improve it. Don’t forget, there are only a few days left until we close the doors for three months for the Make Your Mark Online Membership. This is our signature membership program, where we teach personal brands how to build and grow a successful business website. We teach you all about WordPress. We teach you all about SEO. We teach you how to define your personal brand, and really build a website that you could be proud of as well. And we’ll see you in the next episode!